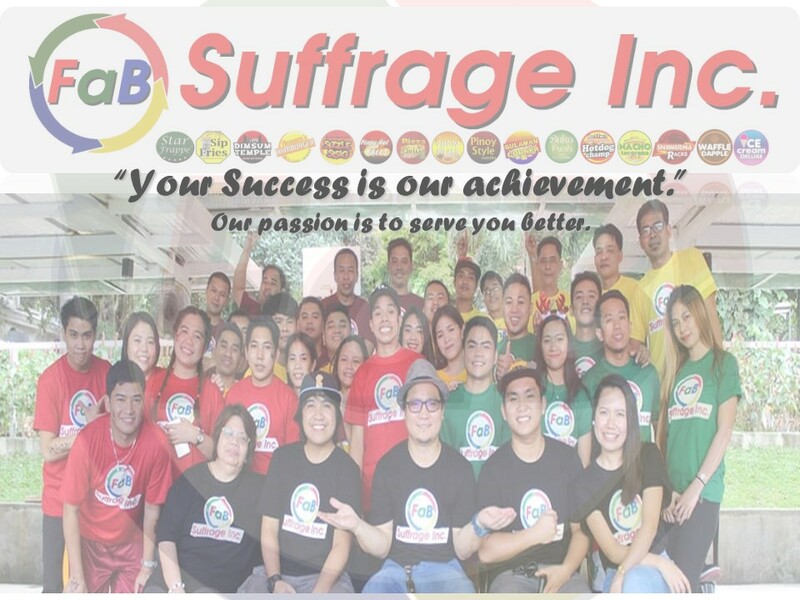 FaB Suffrage Inc. was established to help everyone to build their own business with quality and good services. 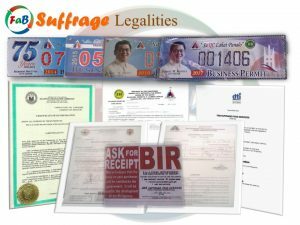 The company promotes a tested and proven business system with an experienced management team by developing products and research facilities with a very high probability of success. 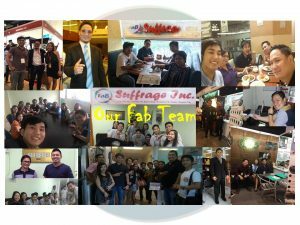 To be one of the Most Successful Franchising business in the Philippines and empowering Filipino people with business knowledge and innovation to become a successful business owner. Food Carts are much easier to launch, manage, maintain and operate. They also require less rental costs. 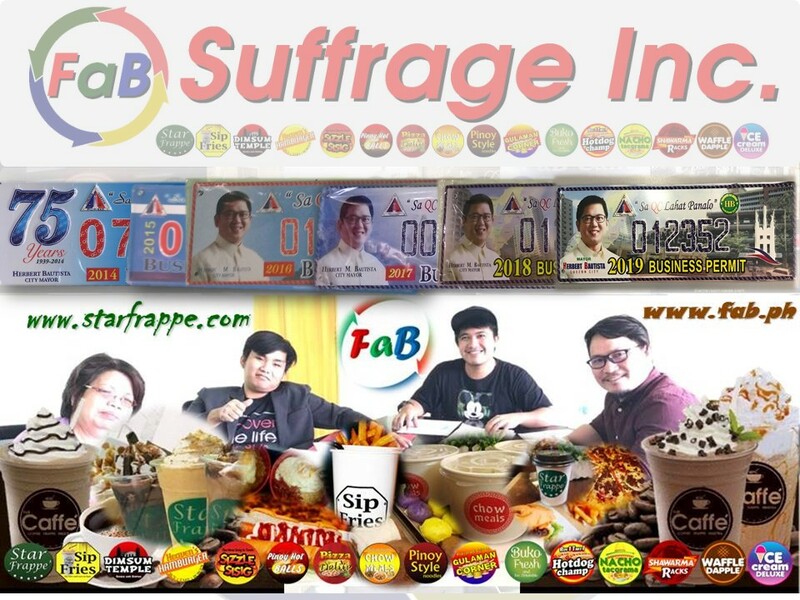 The food business is one of the most profitable business. 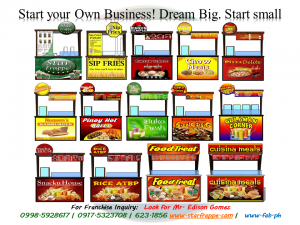 Food Cart Business is also a good opportunity for those who want to start a small business or for those who want to test or enhance their business management skills. 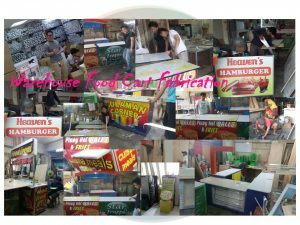 Food cart can be easily transferred to another location if the primary location is not good or not doing well. 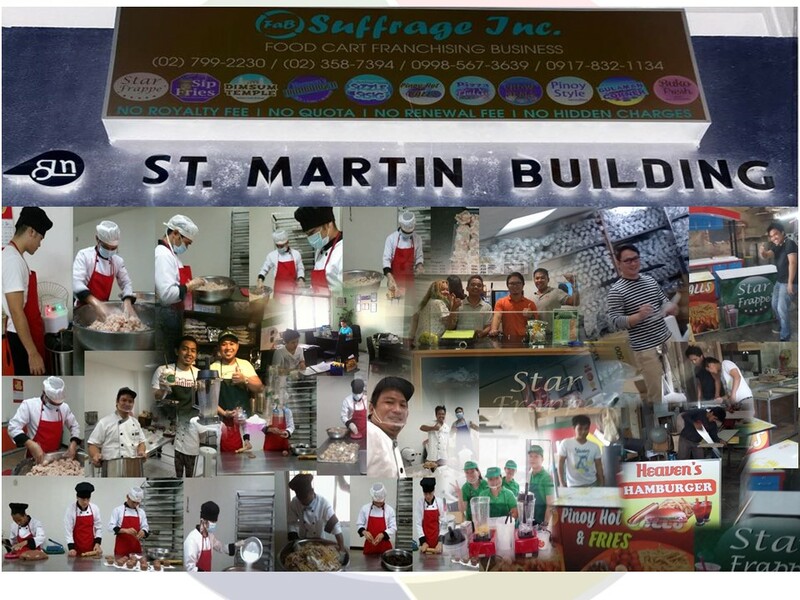 We are here not just to make good sales, but our goal is also to educate people who want to venture into the profitable business of food cart franchising.